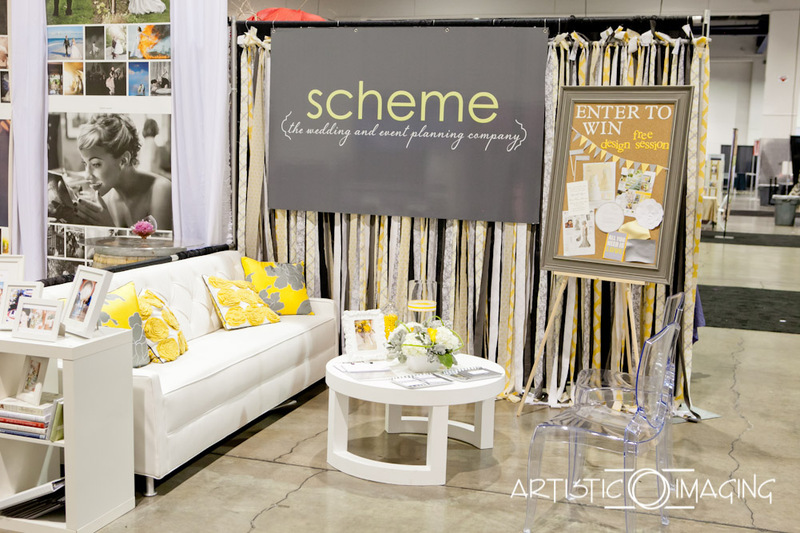 It’s bridal show season! 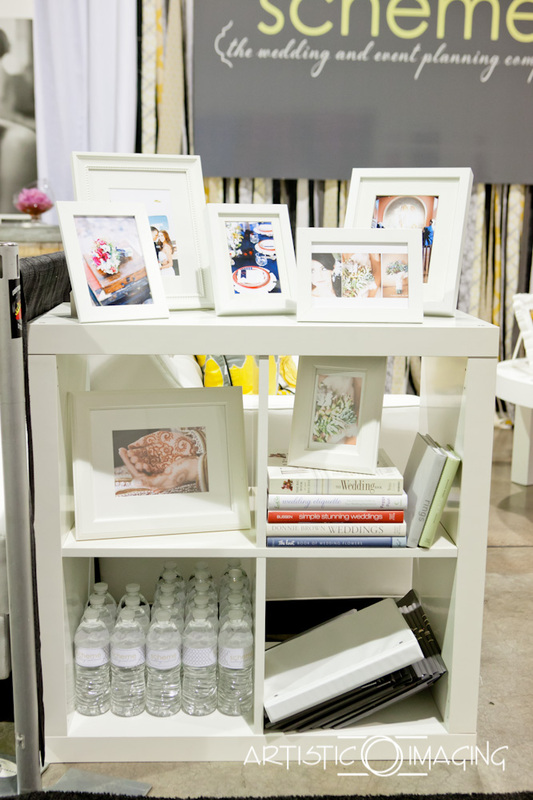 We love setting up a booth and visiting with brides about their upcoming weddings. 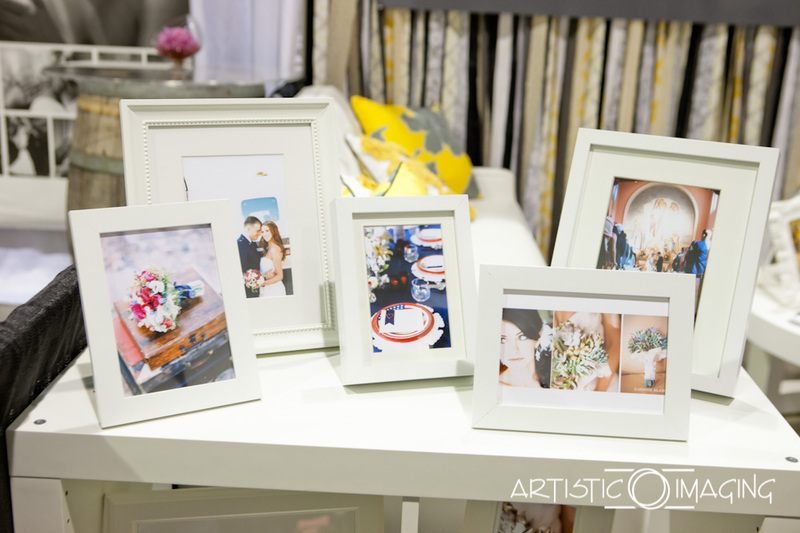 So many of you have great ideas to incorporate into your weddings. We chatted with brides looking for weddings inspired by Audrey Hepburn, cowboy boots and Wranglers, Spiderman, Lake Tahoe and much more. 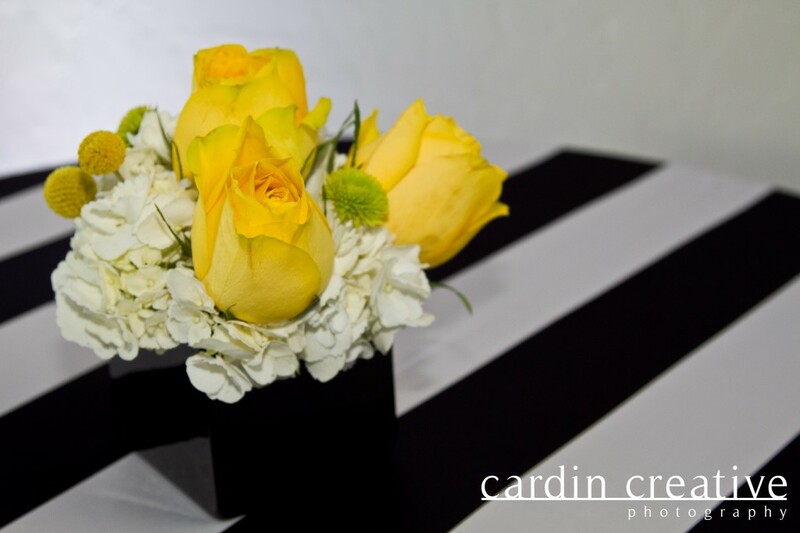 Weddings infused with personality, culture and details are our favorites! Here is a peek at our booth. We set up a mini version of our office and gave away a free design session. Thank you to all the brides and vendors who came to say hello! 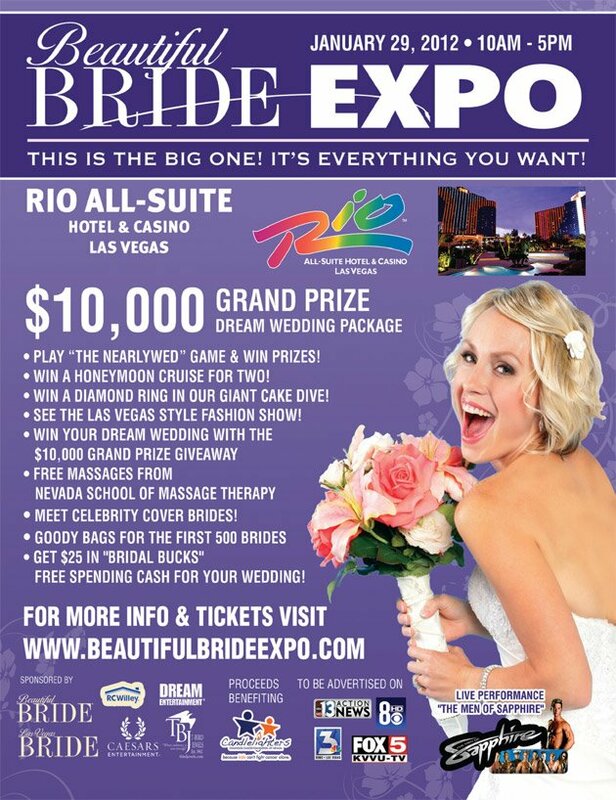 Scheme Events will be designing a booth for the Design Experience in the Beautiful Bride Expo this Sunday, January 29th at the Rio All-Suite Hotel and Casino. Come see us from 10:00am to 5:00pm. Tickets are FREE and you can get the here! Creative Coverings has been a favorite of ours from our early days. Their personalities, selflessness, custom service and creativity are just a few of their wonderful traits. Erin, our sales representative in Las Vegas, is truly a sweetheart and we are always looking forward to seeing her at the next networking event or bride meeting. 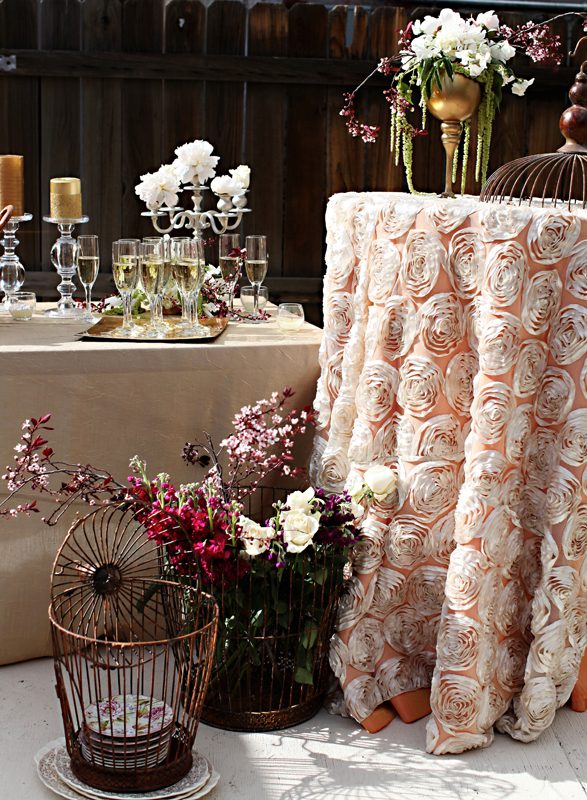 Creative Coverings has the ultimate Scheme linen that we couldn’t live without for our 1st birthday. 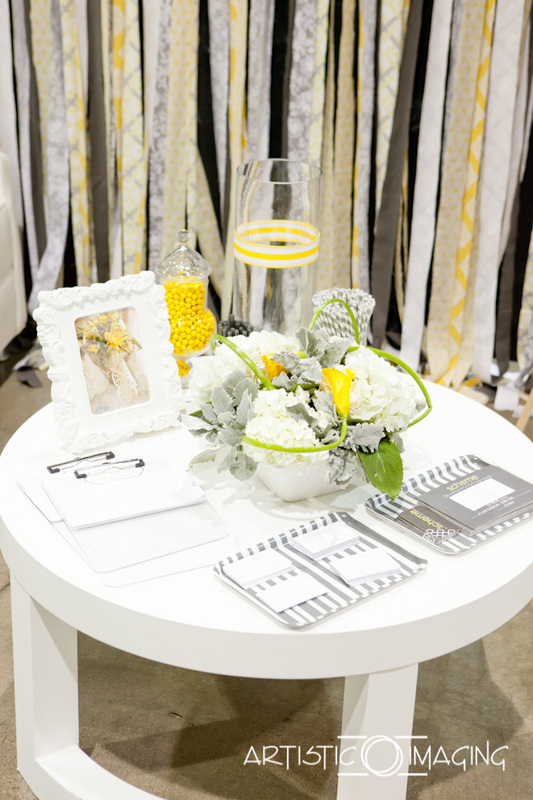 Thank you Erin for getting your black and white striped linen just in time to complete our party’s decor. Please read below to learn more about this great company, insights into new trends and some tricks of the trade. 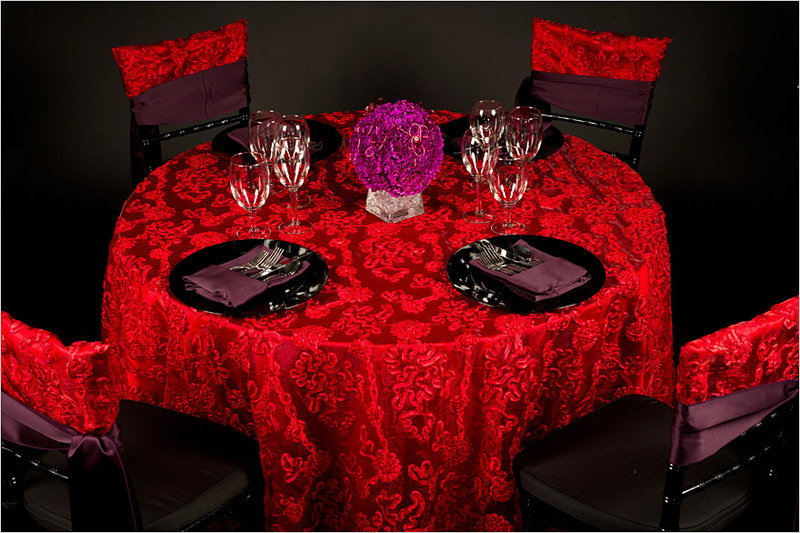 Creative Coverings is a national Special Event Linen Rental and Sales Company serving the event and event-planning industry. 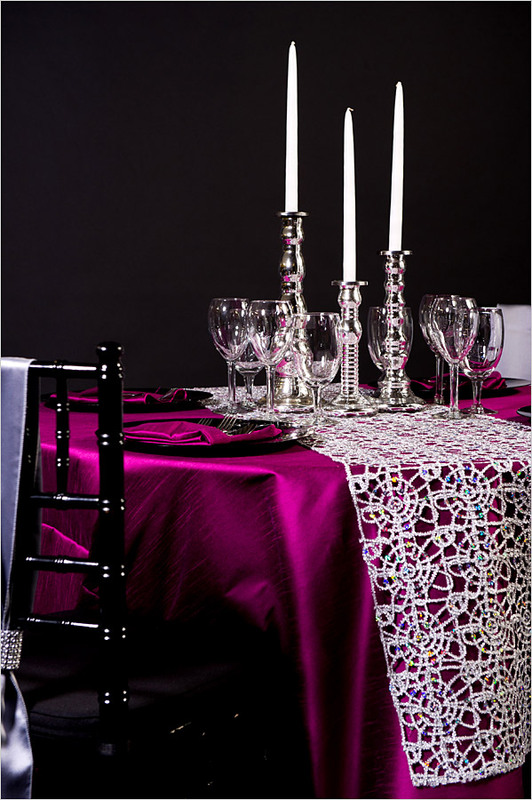 Founded in 1996, the company provides tablecloths, runners, chair covers, napkins, sashes and Chiavari chair caps made of the finest fabrics for rent and sale for weddings and events. Color of the Year: Tangerine Tango – Not only will you see this color on the fashion runway, but in cosmetics, home decor and wedding/event design! This fiery reddish orange hue is dramatic, yet sophisticated…a color that will radiate this Spring/Summer and into Fall 2012. Spring/Summer 2012 colors: tangerine, mustard, fuchsia, lavender, lilac, rich navy, sage green, Tiffany blue, silvery grey, khaki brown, and blush pink. Let’s Play Loaded questions with Erin and Nancy! Alcohol. Cheers to your health! To find out more about Creative Coverings, contact them at the below.